Save earth is a slogan used to spread awareness among people about the importance of earth and why we should save our mother earth. Save earth slogan motivates people to save earth and its natural resources to give our future generations a safe and healthy environment. As we all know that earth is the only known planet having life in this universe. So we should respect and maintain everything we get from our mother earth. We should save the mother earth so that our future generations can live in a safe environment. We can save the earth by saving trees, natural vegetation, water, natural resources, electricity, etc. We should strictly follow all the possible measures to control the environmental pollution and global warming. Everyone should plant more trees in the surrounding areas to curb the pollution and reduce the effects of global warming. Afforestation, reforestation, recycling of used paper and other natural products, saving of natural resources (minerals, coal, stones, oil, etc), electricity, water and environment should be supported and promoted. We do not have any other known planet beside earth in this universe where life is possible. It is the only known planet where the combination of most essential natural resources oxygen, water and gravity is found which makes the possibility of successful life here. We do not have time to think more about it and start saving earth seriously by following various effective measures in order to handover a healthy earth to our future generations. People should plant more trees to get sufficient oxygen and curb the effect of air pollution and global warming. We should stop cutting down rain-forests to our life, atmosphere and homes of many different species. People should limit their use of electricity and use less fossil fuel to save the environment from global warming. They should promote the use of solar lights and wind energy to save destroying earth. Following the 3R rule (Reduce, Reuse, Recycle) can be proved very effective in saving our precious earth. Earth is the most precious thing in this universe having oxygen and water, essential things for life. The natural resources found on earth are deteriorating day by day because of various wrong practices of human beings. It keeps life on earth in danger. Various forest animals have been extinct completely because of the lack of their favorable environment. The rate of various types of pollution, global warming and other environmental issues is increasing day by day. It is very necessary to stop all the bad practices to reduce the negative effects of same. Earth day is celebrated every year on 22nd of April to spread awareness among people all over the world. It is observed annually to appreciate people to maintain the earth’s natural environment. Our earth takes nothing in return from us however it demands to maintain it for the continuity of health life on earth. We are not alone to live on the earth; there are various unknown living species that live on earth. So, we should not be selfish and think about all the living species on the earth. We should save our earth and environment by reducing the amount of wastes, plastic, paper, woods, etc. we should make the habit of reuse and recycle things (clothes, toys, furniture, books, papers, etc) in order to generate less waste. We should stop all the bad practices involved in increasing the level of pollution and global warming. 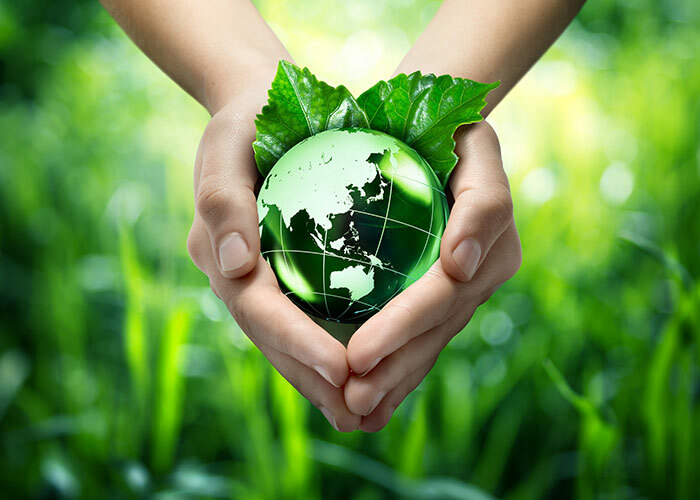 The present condition of the earth has been very challenging for the healthy existence of life because of the toxic environment, air pollution, water pollution, global warming, deforestation, and many more environmental issues. There are numerous easy ways we can save our planet however, depends on the dedication and rate of good habit followers. It should be promoted the development of environment friendly technologies so that they could not harm the planet. People should make the habit of reduction in usage of harmful things, re-usage and recycle of things in order to generate less amount of wastes. Generally, many people use variety of house cleansers in order to keep their houses clean and disinfected. They never see the chemical constituents of that particular cleanser which can be very destructive to the water, soil and air. We should be very clear about what products we are using in daily life and always select eco-friendly cleansing products. Pollutions and global warming are generally being spread by the commercial industries to a great extent. They should follow the government rules and regulations made for controlling the same. They should limit their harmful commercial-grade production and involve in producing environment friendly products. Awareness regarding save earth should be promoted among youths by including this topic to their study. They should be involved in the activities like planting, group discussion, essay writing, speech recitation, banner making, slogan writing competition, theme based drama play, etc in the school and college. The event named as Earth Day is celebrated annually on 22nd of April to spread awareness regarding save earth among public. Earth is the only known planet in this universe where life is possible as it has basic necessities of life. We need to maintain the natural quality of our mother earth in order to continue the healthy life here. Save earth save environment and save earth save life are the most famous slogans to increase awareness about save earth among people. There are various means the condition of our earth is getting declined day by day due to the pollution, greenhouse gases, etc. It is generating the harmful impact on environment and thus health of people. It is the responsibility of human beings to keep earth safe, clean and natural. Earth Day is a global annual observance celebrated on 22nd of April since 1970 to protect the environment and save earth. The aim of this event is to inspire people for healthy earth’s environment. We should not waste water and use only according to the requirement. We should wash dirty clothes only and in the cold water. In this way, we can save many gallons of water per day. People should share private cars and generally use public transport in order to reduce the emission of greenhouse gases. People should use bicycle to perform work in local areas. People should follow 3R methods means reduce, reuse and recycle things. People should make compost which is a great natural fertilizer for the crops. We should use Compact fluorescent light bulbs (CFLs) instead of common bulbs as they are more durable and use two-third less energy which will reduce the use of electricity and greenhouse gases emissions. We should not use electric heater or air conditioner unnecessarily without necessity. We should maintain our private transport and drive smartly in order to reduce pollution. We should switch off lights, fans and unplug other electric appliances to use less electricity. We should plant more trees in the surrounding areas to reduce pollution and effect of green house gases. Earth is our mother planet which gives us all the necessary things we need for living a life. So, we are also responsible to maintain its natural quality and greenery environment. We should not waste and pollute its natural resources for our small benefits. Save earth and save environment both related to the safety of life on the earth. As being human being, we should strictly involve in the activities reducing pollution and global warming and save the earth. We should save forest through afforestation and reforestation. Plants are the most basic need of life whether human beings, animals or other living things. They give us food, oxygen, shelter, fuel, medicines, safety, and furniture. They are very necessary to maintain the natural balance between environment, climate, weather, and atmosphere. We should take care of the wildlife by stopping deforestation and promoting reforestation. Thousands of species and birds have been extinct because of destruction of their habitat. They are very necessary to balance the food chain in the nature. Our environment is being declined continuously as a result of deforestation, industrialization, urbanization, and pollution. It is threatening the lives through global warming and climate changes because of the emission of carbon dioxide and other greenhouse gases. We should save our environment to balance all the natural cycles. We are needed to bring huge level changes in our unnatural lifestyle as much as possible to save the earth. There is need to transform cities into Eco-cities to maintain the ecological balance in the atmosphere. The government of all the countries need to work together to bring global changes. There is urgent need to save our earth because of the continuous rising in global temperature, melting of polar ice caps, bleaching of coral reefs, and increasing risks of tsunami, floods and droughts. The condition of our mother earth is getting poor which is reducing the chances of healthy life. Earth is the most important source of all the basic elements required to keep us alive. Bad human activities have given rise to various environmental issues due to release of toxic fumes, chemical wastes and excessive noise. Government has taken various effective steps regarding save earth, save life and save earth, save environment in order to continue the healthy life on the earth. Without earth, life is not possible anywhere in the universe. Human activities related to the destruction of natural resources of earth are impacting the earth environment very badly. So, it is our sole responsibility to save the earth by practicing Eco-friendly activities.